Secure Logiq clients are designed for use where dedicated multi-monitor viewing positions are required. Processor heavy with advanced graphics cards and featuring the Operating System on solid state disk for intrinsic stability these clients will handle as many HD video streams as the VMS allows. With up to 4 monitor outputs per client in the compact range and 8 monitor outputs in the tower these machines are suitable for anything from an operator desk to a control room or monitor wall environment. Secure Logiq clients include 1TB on board storage for fast easy access archiving and USB 3.0 for exporting video the external devices. 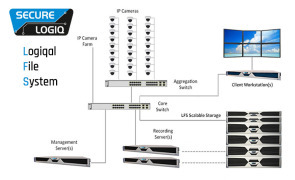 As big data meets IP CCTV Secure Logiq's latest storage innovation is a scalable distributed filing system providing the highest system availability and resilience to the security industry today. Tired of making do with your Enterprise IP Surveillance Systems? 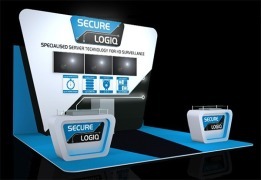 – Make your IFSEC visit pay dividends by visiting Secure Logiq at F300! Shortlisted as a finalist for Benchmark Innovation awards 2015 and on track to revolutionise the HD CCTV Industry!